Summary: Researchers have developed a new algorithm that can determine the ideal time to consume, and correct dosage of caffeine that can maximize alertness under sleep loss conditions. Caffeine is the most widely consumed stimulant to counter the effects of sleep loss on neurobehavioral performance. However, to be safe and most effective, it must be consumed at the right time and in the right amount. This study proposed an automated optimization algorithm to identify safe and effective caffeine-dosing strategies that maximize alertness under any sleep-loss condition. The algorithm was assessed by computing and comparing dosing strategies for four previously published experimental studies of sleep loss. For each study, two dosing strategies were computed–one which enhanced the predicted PVT performance using the same total amount of caffeine as in the original studies, and another which achieved an equivalent level of performance as in the original studies using a lower amount of caffeine. Compared to the original dosing strategies used in the studies, the U.S. Army’s algorithm identified strategies that enhanced neurobehavioral performance by up to 64 percent, or reduced caffeine consumption by up to 65 percent. NeuroscienceNews.com image is in the public domain. Compared to the original dosing strategies used in the studies, the U.S. Army’s algorithm identified strategies that enhanced neurobehavioral performance by up to 64 percent, or reduced caffeine consumption by up to 65 percent. According to the authors, these results suggest that the algorithm can tailor the timing and amount of caffeine to the particular sleep/wake schedule of each study condition to maximize its benefits. “Our algorithm is the first quantitative tool that provides automated, customized guidance for safe and effective caffeine dosing to maximize alertness at the most needed times during any sleep-loss condition,” said Reifman. Original Research: The study “Caffeine Dosage Strategies that Efficiently Enhance Alertness during Sleep Loss” by Vital-Lopez F, Ramakrishnan S, Doty TJ, Balkin TJ, and Reifman J will be presented at SLEEP 2018. AASM “New Algorithm Determines Ideal Caffeine Dosage and Timing For Alertness.” NeuroscienceNews. NeuroscienceNews, 4 June 2018. 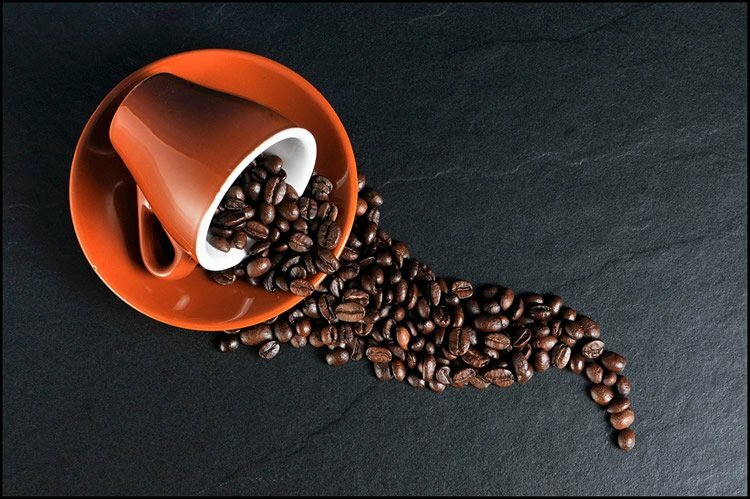 AASM “New Algorithm Determines Ideal Caffeine Dosage and Timing For Alertness.” http://neurosciencenews.com/ai-caffeine-alertness-9236/ (accessed June 4, 2018). Introduction: Caffeine is the most widely consumed stimulant to counter the effects of sleep loss on neurobehavioral performance. However, to be safe and most effective, it must be consumed at the right time and in the right amount. Caffeine-dosing recommendations offered by prior studies are not readily adaptable to any arbitrary sleeploss condition. Here, we propose an automated optimization algorithm to identify safe and effective caffeine-dosing strategies that maximize alertness under any sleep-loss condition. Methods: We used our validated unified model of performance, which predicts the effects of sleep loss and caffeine on psychomotor vigilance task (PVT) performance, and combined it with a computationally efficient optimization algorithm to determine when and how much caffeine to consume to safely maximize alertness during sleep loss. The algorithm takes a user-provided sleep/wake schedule and maximum allowed caffeine as inputs, and provides a caffeine-dosing strategy as the output. We assessed the algorithm by computing and comparing dosing strategies for six previously published experimental studies of sleep loss. For each study, we computed two dosing strategies—one which enhanced the predicted PVT performance using the same total amount of caffeine as in the original studies, and another which achieved an equivalent level of performance as in the original studies using a lower amount of caffeine. Results: Compared to the original dosing strategies used in the studies, our algorithm identified strategies that enhanced neurobehavioral performance by up to 64%, or reduced caffeine consumption by up to 65%. These results suggest that the algorithm can tailor the timing and amount of caffeine to the particular sleep/wake schedule of each study condition to maximize its benefits. Conclusion: Our algorithm is the first quantitative tool that provides automated, customized guidance for safe and effective caffeine dosing to maximize alertness at the most needed times during any sleep-loss condition. Support (If Any): This work was sponsored by the Military Operational Medicine Program Area Directorate of the U.S. Army Medical Research and Materiel Command, Ft. Detrick, MD, and by the U.S. Department of Defense Medical Research and Development Program (Grant No. DMRDP_13200). Without providing any of the actual finding results (the algorithm) this article is completely useless. Thanks guys..
What is the point if the results are not reported? And is this caffeine or coffee, which is a far more complex brew? So where is the algorithm?! How can I use this? well….what the hell is the goddamn dosage and timing? !